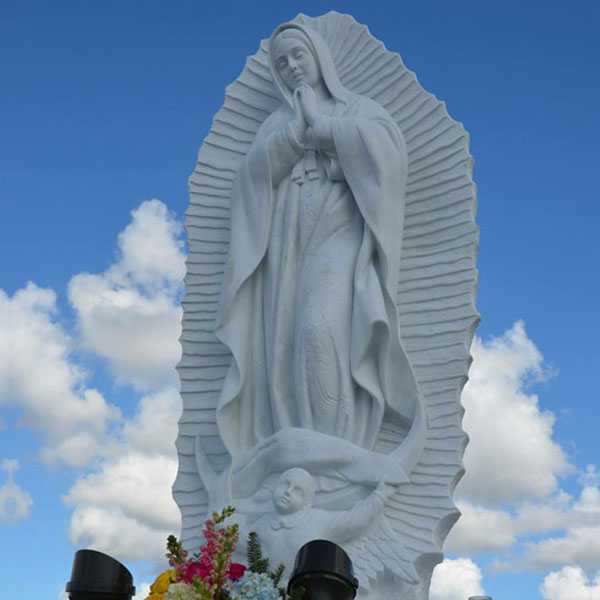 Our Lady of Guadalupe statue is a lovely reminder of our Blessed Mother. 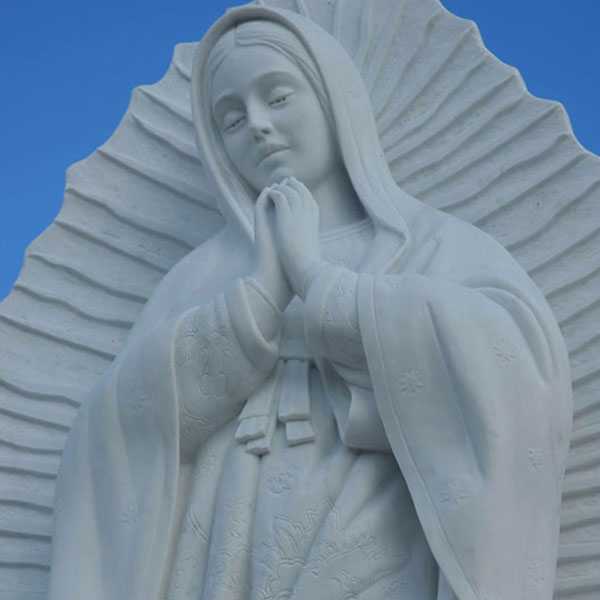 Now you too can celebrate this wonderful miracle and show your devotion by making a beautiful addition to your home with the Virgin of Guadalupe and Juan Diego statues. Place them at home, your office, school or Church as well as give them as gifts so the Virgin of Guadalupe will always bless and protect you and your loved ones. 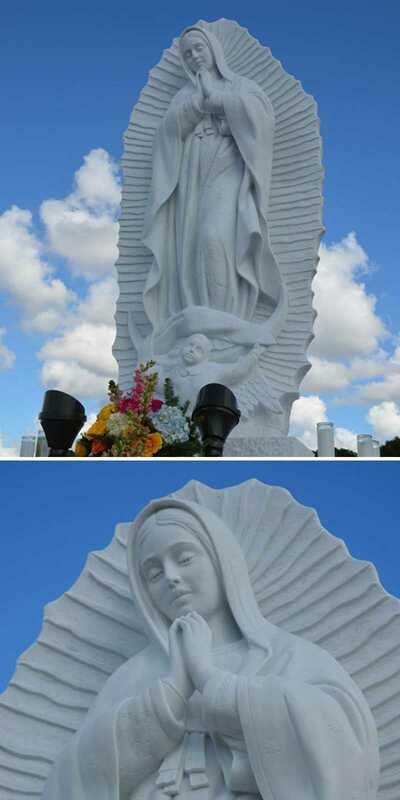 Our Lady of Guadalupe marble statues– Our Lady of Guadalupe statue is a lovely reminder of our Blessed Mother. 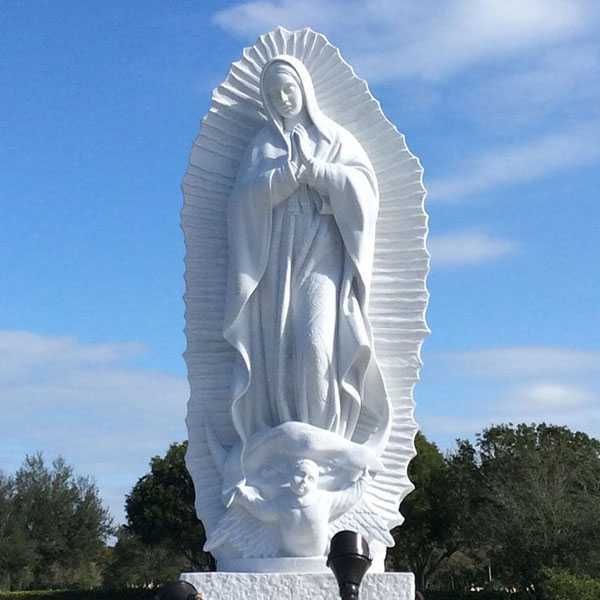 Now you too can celebrate this wonderful miracle and show your devotion by making a beautiful addition to your home with the Virgin of Guadalupe and Juan Diego statues. Place them at home, your office, school or Church as well as give them as gifts so the Virgin of Guadalupe will always bless and protect you and your loved ones. 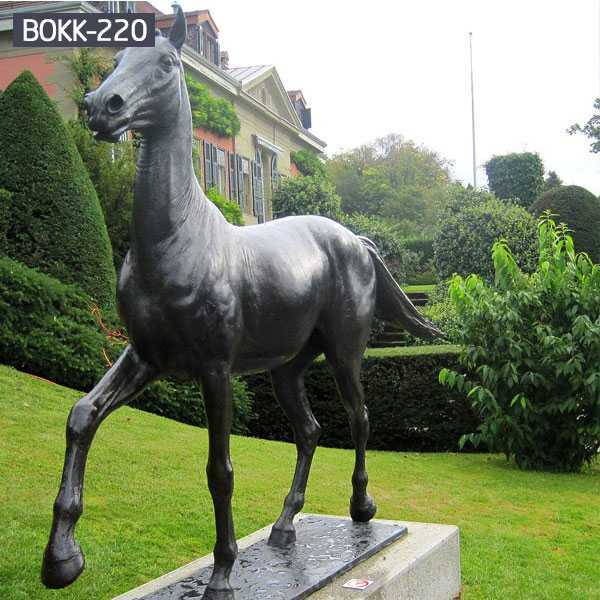 These statues are a daily reminder of her eternal love, compassion and protection for the world. 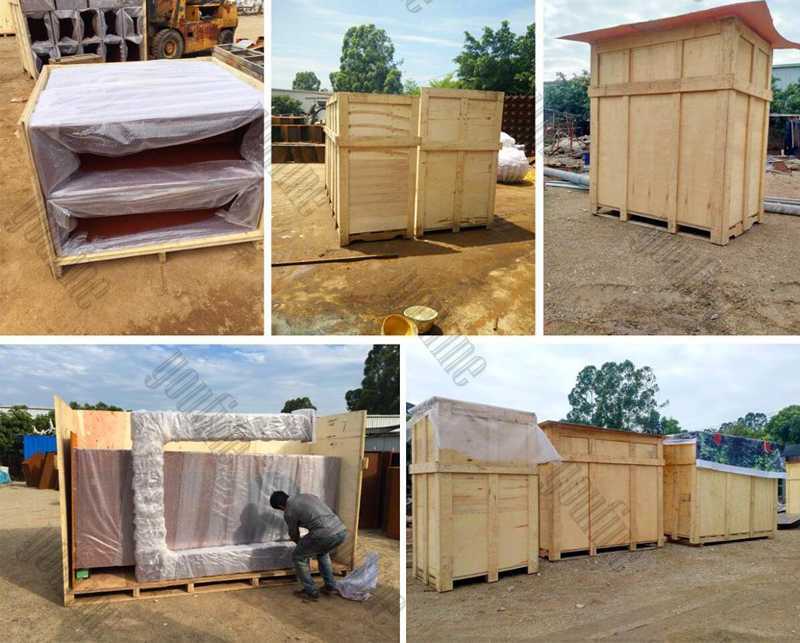 Installation and maintain: every sculpture attached the installation instruction, also welcome to consult to our sales at any time. 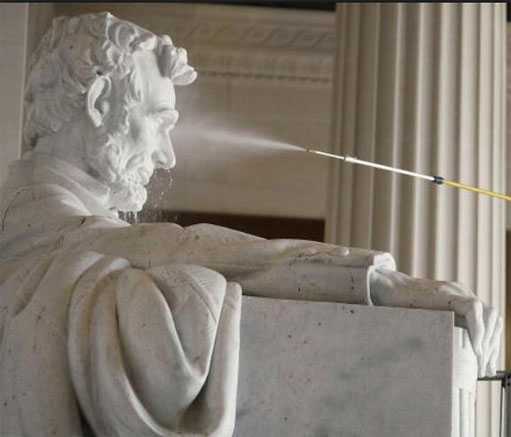 Money-back guarantee: All of our stone statues are undercovered by money-back guarantee policies. 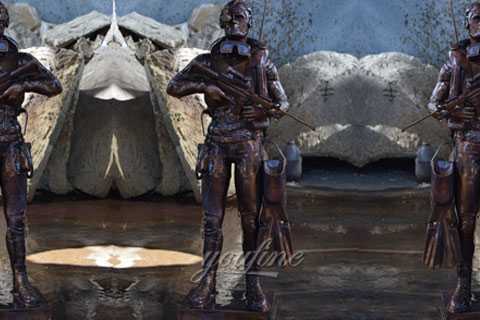 For any reason you are dissatisfied with a statue or other sculptures from us, simply apply to refund within 30 days and we will very gladly refund your money. 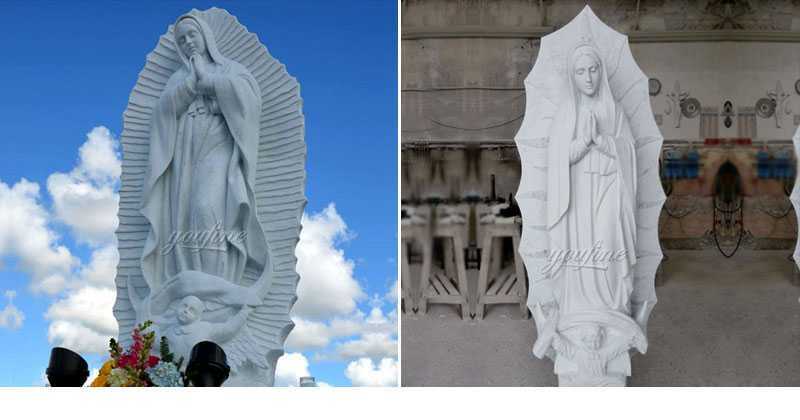 So if you have requirements or question about Our Lady of Guadalupe,please contact with us,we are focusing on religious statue,especially in catholic statue,about 30 years.So YOU FINE ART SCULPTURE is your best choice !